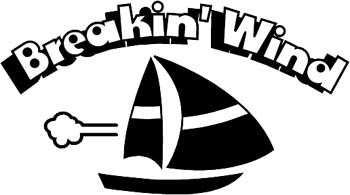 SignSpecialist.com – Boat Decals - Breakin' Wind" boat lettering vinyl decal. Personalize on line. GA01V006"